I haven't dwelled on Doctor Who much these past few months, and a lot of that has to do with the fact that there's been so little of it! Back when Series 9 aired, our team was pretty much on-board with it as among the best outings of the entire new series era, fully defining the Twelfth Doctor as a rock and roll dad, along with some serious homages to Gaiman-esque storytelling tropes. And then we had a big gap, with only two pretty subpar Christmas Specials (aren't they all? Except for that one with Michael Gambon). And let me tell you, nothing takes the wind out of your Whovian sails quicker than awful Christmas episodes. So, here we are, just a week away from the premiere of Series 10. What do we know so far? There's probably a lot, but I haven't paid much attention. We have a new companion in Bill, played by Pearl Mackie, and Hannah informed me that this new addition will be openly gay, so that's awesome. Missy is coming back, and Michelle Gomez is always a delight. And it's the final run of episodes for both Steven Moffat and Peter Capaldi. Today, we learned something else. 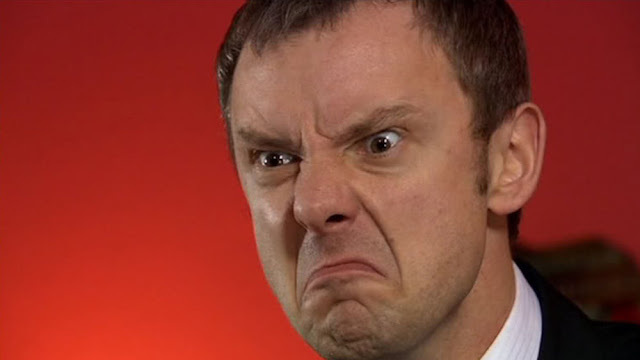 John Simm is also coming back! Say wha?? Simm, for those who don't remember, was the previous actor to play the Master ahead of Gomez. He was vanquished at the end of the final David Tennant episode, which was so long ago, its story hinged on how Barack Obama was going to save the worldwide economy. "Nothing stays secret for long on Doctor Who," said showrunner Steven Moffat. "But you'll have to wait a little bit longer to see exactly what The Master is up to and how he makes his return to face the Doctor. "It's been a huge pleasure to have fan favourites John Simm and Michelle Gomez face to face in the same role! It's not often you get to see a solo personality clash."